The tutorial should be available for instant download once payment has been confirmed. If Etsy does not provide the download instantly, please mail me. 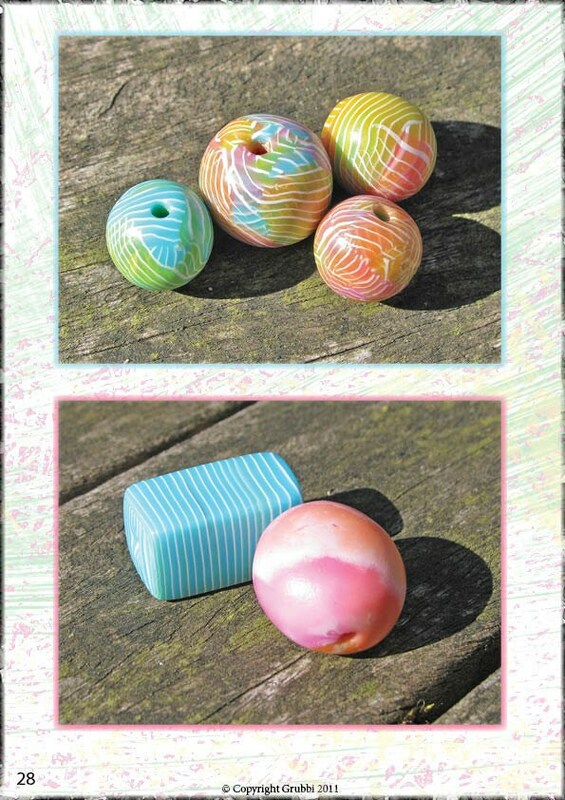 This tutorial will walk you through all the stages necessary to create the beads pictured. This is a technique that I've been using for a couple of years now and I just love the versatility it brings to a project. The scope for colour combinations is immense! 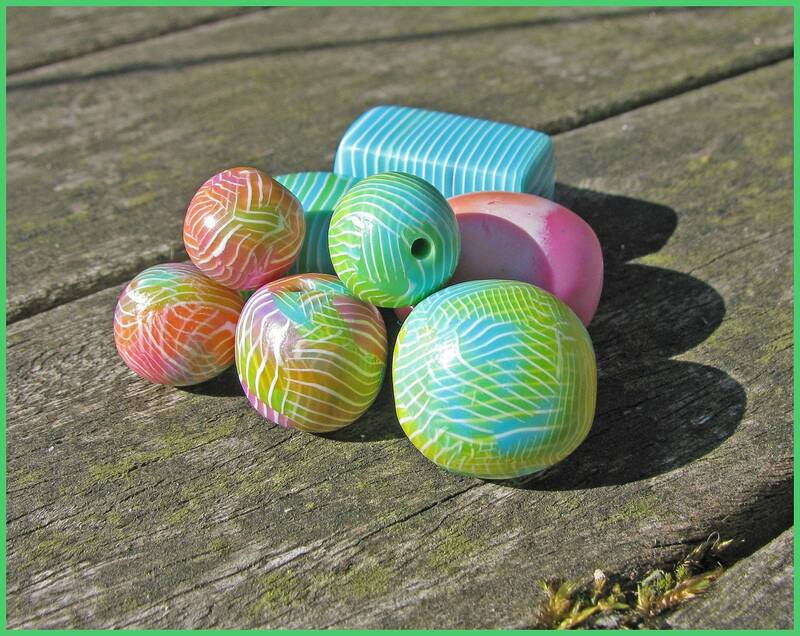 This tutorial will walk you through conditioning clay, skinner blends, manipulating the clay, using a pasta machine, forming the cane, slicing the cane...every step down to creating uniform sized beads, applying canes, rolling the beads and piercing. 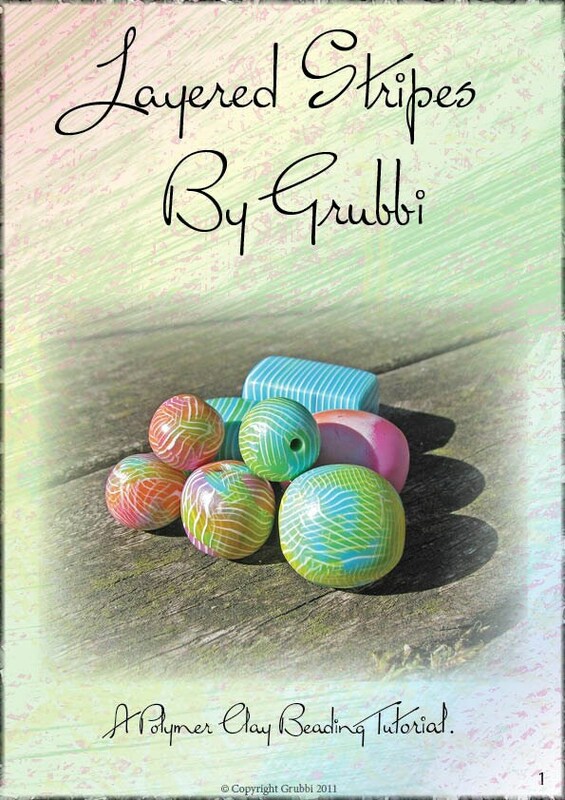 The tutorial is in .PDF format and has been written by me using Adobe Indesign. 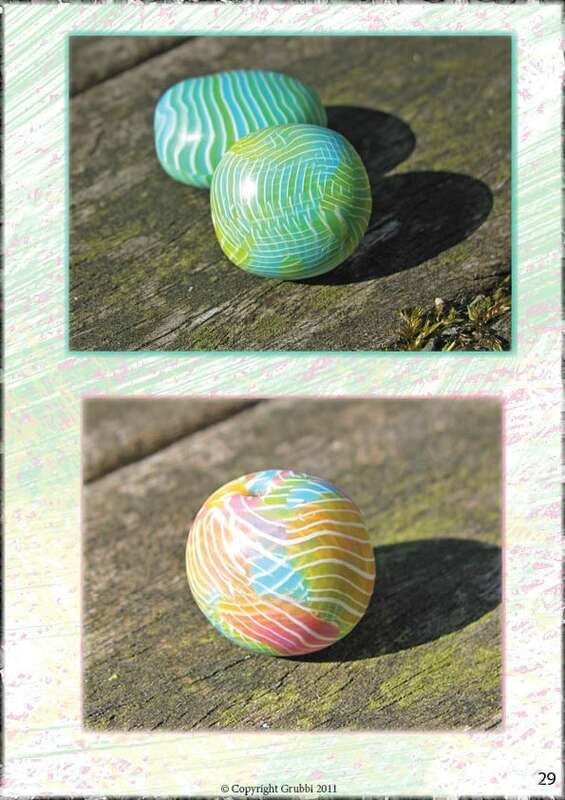 It is laid out over 29 pages and has over 35 pictures in the tutorial itself plus a further 5 gallery images. Every step is explained in detail and would be suitable for beginner level as well as intermediate and advanced clayers. I am available to mail if there are any steps you do not understand, I will try and help where possible. This file is for personal use only and should not be resold or redistributed. There are no special tools or equipment needed for this tutorial other than normal claying materials. 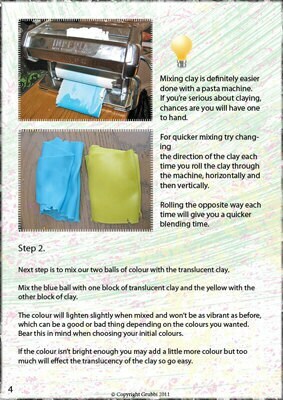 You need translucent and coloured clay, something to roll with and something to slice with. A full list is provided in the tutorial. If you are not happy with the tutorial please contact me before leaving feedback.